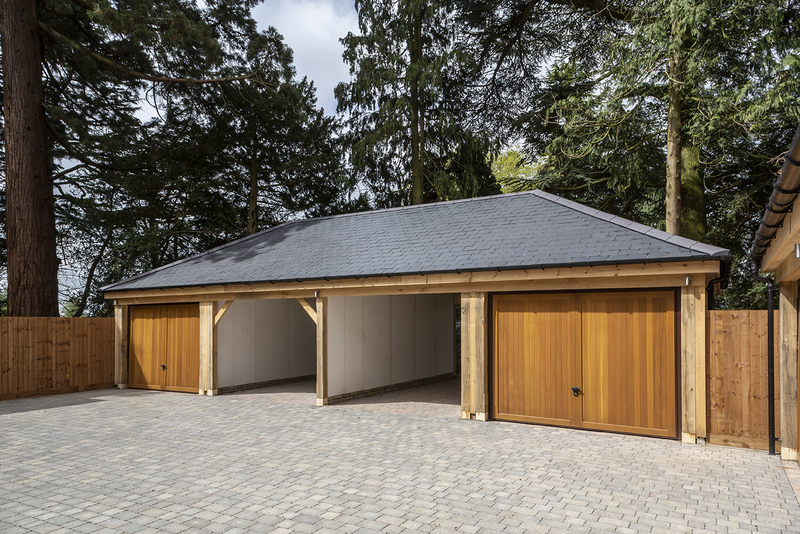 “Developers are moving away from traditional brick garages to oak-fronted timber garages, car barns or car ports. It helps to differentiate their product from their competitors, as the car barns are seen as aesthetically more pleasing and a higher value product. “We have worked with Spitfire for around five years and were their first supplier of engineered timber products. Our brief was to design, supply and erect a courtyard of timber car barns and garages, together with a bat house to support local ecology. Visually, mixing the two styles together produced a stunning courtyard for residents which enhances the offering of the development.